Thanksgiving is a big travel holiday, and you probably have plans that will reduce the amount of time you have for riding and caring for your horse. Bringing in someone to care for your horse might be a necessity, but how do you know you're leaving your horse in good hands? References are a powerful tool in determining a person's experience, reliability, and character – and also determining whether they are someone you want caring for your horse. Your vet, farrier, horse-owning friends, and even barn managers can often refer you to reputable people who could care for your horse. Once you have the name of a possible equine caretaker, get references from that person – and then be sure to check them! Speak to each reference and ask detailed questions about the job the caretaker had performed, their reliability, and if any issues arose, and then ask for the reference's honest opinion on the caretaker's work and horse experience. Rather than immediately scheduling an in-person meeting or interview, interviewing a potential caretaker over the phone first can save you time in case you realize that the potential caretaker is not a good fit for the situation. 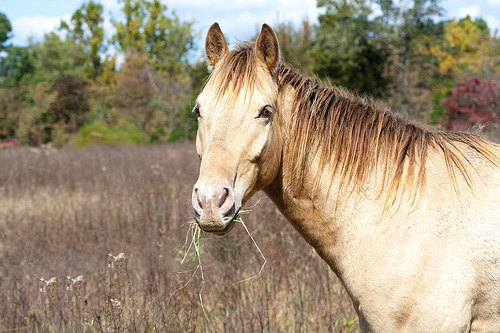 Draw up some questions beforehand to ask about the caretaker's level of horse care experience, along with any other questions you might have. If you're interviewing a high school student, be sure that they have reliable transportation. Asking about previous caretaking jobs the person has performed is also a good idea. Once you find a caretaker who you think could be a potential match, invite them out to meet your horse and watch their interaction. Does the caretaker seem confident and at-ease with the horse? How is their attention to safety? Inform the caretaker about any issues (medical or behavioral) that your horse has, and make sure that he or she is comfortable dealing with them. Although you may have the caretaker out for a "training" day to get them used to your horse's schedule, be sure to always leave them complete, detailed information on your horse's care at the barn. This information should contain multiple emergency numbers, including your vet, farrier, and your contact numbers. Be sure to leave phone numbers for where you can be reached on each day if you will be traveling. To eliminate room for error, try to make things as simple as possible for your horse's caretaker. Have your horse's blankets clearly labeled, and mix up and bag his feed ahead of time if he has multiple supplements or a complicated feeding schedule. Even with the best, most reliable caretakers, things can happen – cars break down, people fall ill. It's best to have a backup person in place who can be called if such a situation should occur. Knowing that you have a second person in line will make your holiday less stressful. Needless to say, finding a reliable, trustworthy equine caretaker can take some time, so start ahead to make sure you are leaving your horse with the best of care.